The Mobile Press-Register printed the first complete edition on its new printing press on May 26, 2002. 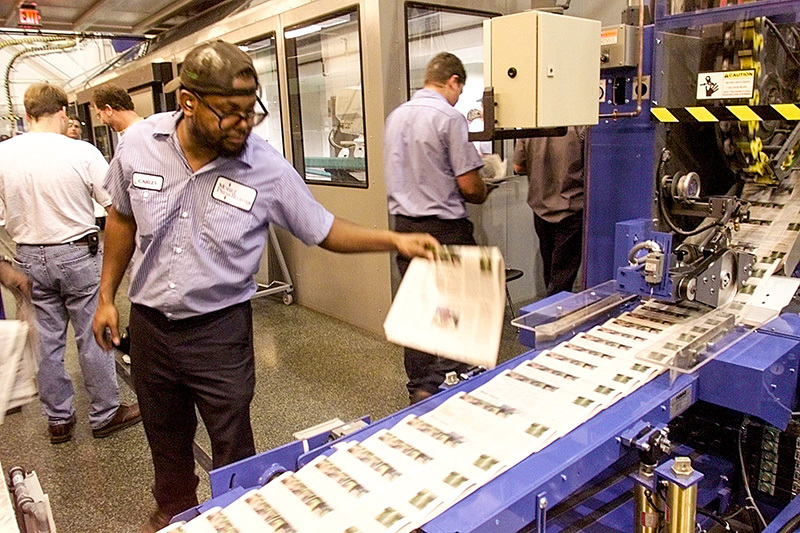 The company delivers about 94,000 newspapers daily and more than 111,000 on weekends. Courtesy of The Mobile Press Register. All rights reserved. used with permission. Photograph by Kiichiro Sato.